This app is absolutely essential for any cheerleading team! 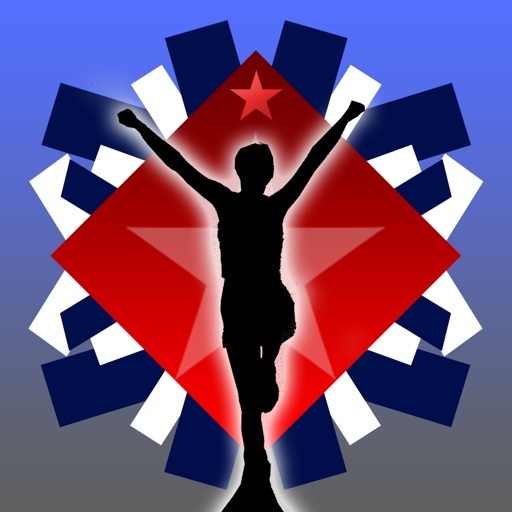 In this app you will learn how to do 9 different crowd pleasing small stunts (2-5 people), 7 great large stunts (6+ people), 3 fun tosses, and 7 competition jumps! 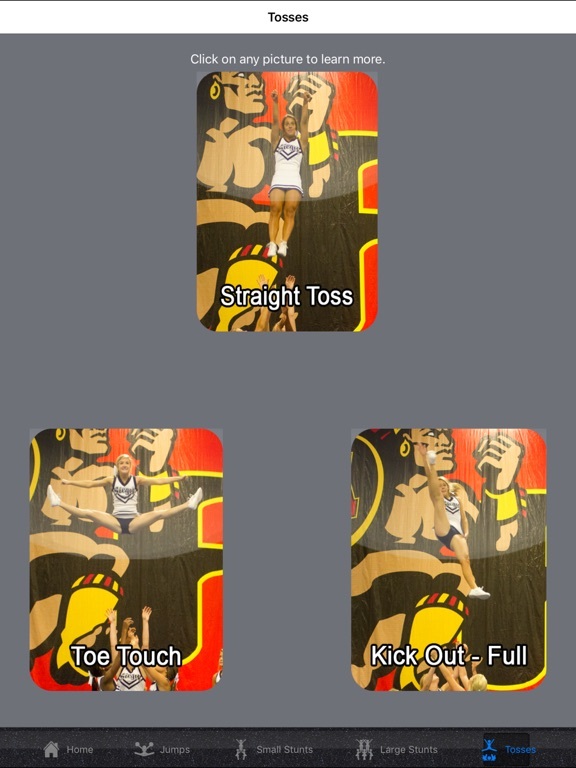 Each stunt, toss and jump comes with great pictures and descriptions for easy learning. 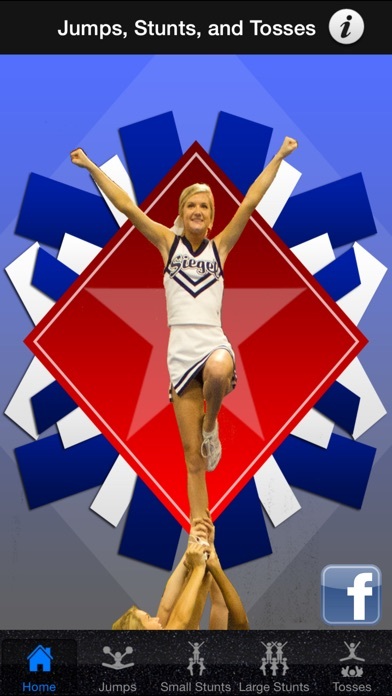 Each stunt and toss comes with a video to watch as well! Need to remember your favorite stunt? We've included a custom feature to highlight your favorite stunts! 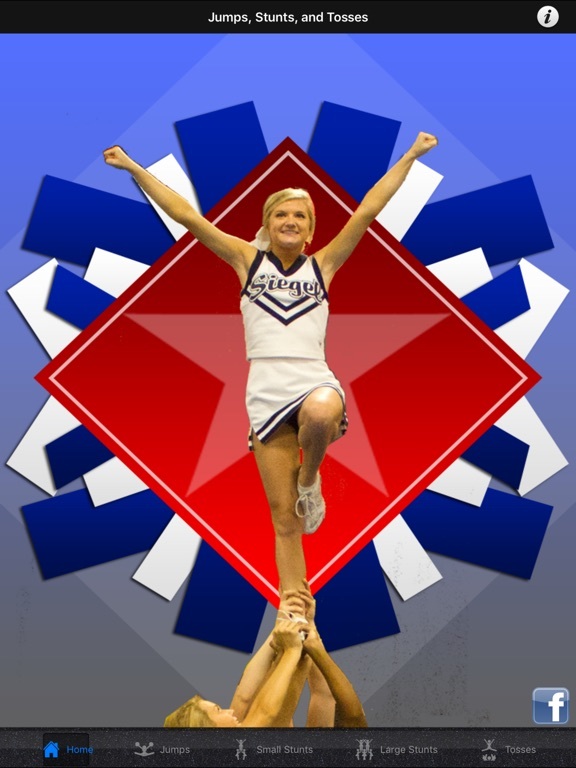 The models in this video are seasoned high school competition cheerleaders from Nashville, TN! So what are you waiting for? Get this app today! *Always be safe when stunting, tossing, and jumping. All moves in this app should be done under the supervision of a trained professional. For entertainment purposes only.